After years of working to bring the F1 1992 at Rf1, Alesanchez, RF900R and Sderenno, former F1SR, start with a new adventure. A car of the 1992 season, the Venturi Larrousse can be driven on the new simulator ISI, released as usual for the valuable feedback. It 's just a beta and demo, as the models and further details will be revised and improved by the excellent RF900R in future releases. Take the opportunity to announce our new side project: single will be released car choices among the most beautiful that, in some cases, will complete as full seasons, in others simply to enrich the car park of the Historic F1. The project will be named F1 ASR Classic, where we find the most beautiful cars of the 80s and 90s such as the McLaren MP4 / 6 1991 world champion Ayrton Senna, Prost's Ferrari 643 of 1991 etc.. etc.. The project will be on multi platform to satisfy any user, from a GSC RF1, RF2 from AC. RF900R for 3D modeling, Auto, new helmets etc. Sderenno for conversions of RF2 and the physical properties of the car. Ulf (new entry) for new tires and new pilot 3d present in the next release "Classic". Acestumacher and F1Lover even if not present in the project as they are active for F1 ASR Modern! There are currently no setups for Venturi LC92 (rFactor 2). Add a Setup. 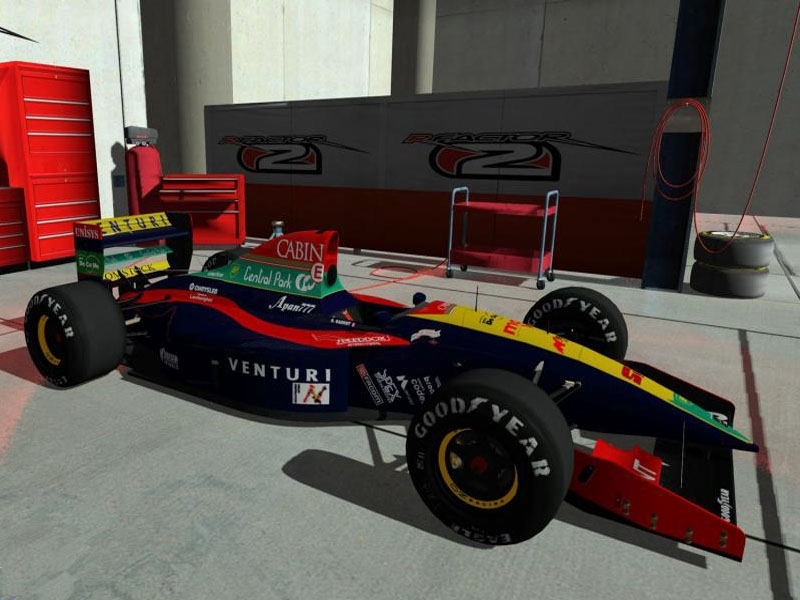 There are currently no car skins available for Venturi LC92 (rFactor 2). If you are a painter you can share skins for this mod via the Car Skins area. Visit the Spray Booth for painting tips & tricks. There are currently no car skins available for Mclaren MP4/7 (rFactor 2).